NEW YORK Texas A&M quarterback Johnny Manziel has won the Heisman Trophy, becoming the first freshman to win college football's most prized individual award. The redshirt freshman beat out Notre Dame linebacker Manti Te'o and Kansas State quarterback Collin Klein. 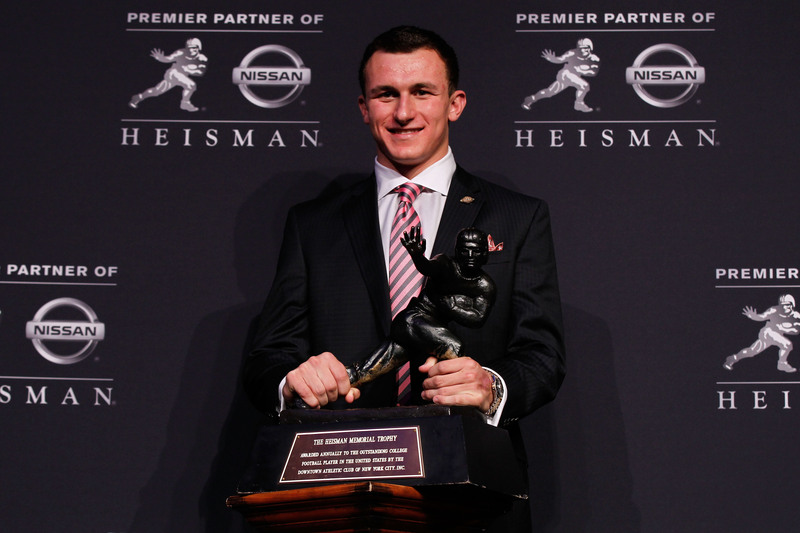 A few days after turning 20, Manziel became the most inexperienced player to win the Heisman. Adrian Peterson had come closest as a freshman, finishing second to Southern California quarterback Matt Leinart in 2004. Manziel is the second player from Texas A&M to win the Heisman, and first since John David Crow 1957. Manziel broke 2010 Heisman winner Cam Netwon's Southeastern Conference record with 4,600 total yards this season, led the Aggies to a 10-2 in their first SEC season and orchestrated an upset at No. 1 Alabama in November that stamped him as legit.